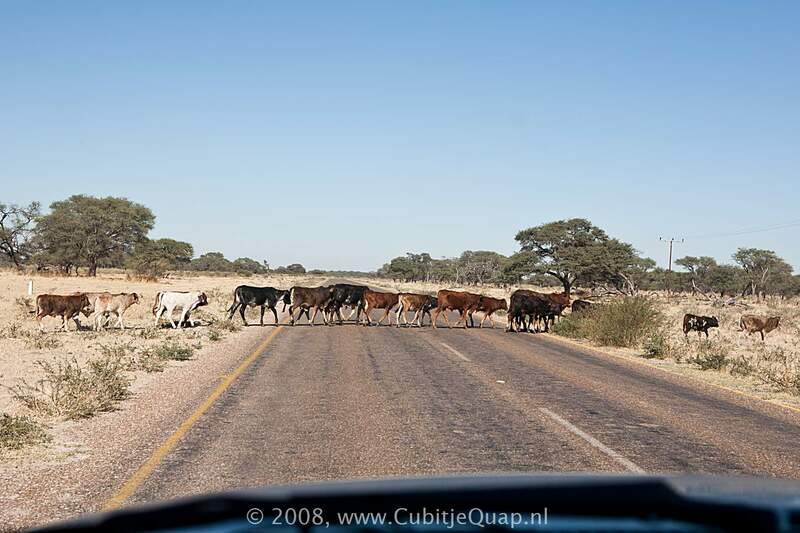 Cattle tends to roam free along the roads in Botswana, however there are very strickt regulations covering import and export of both livestock and fresh livestock products both internally, and across borders, into neighbouring countries. Foot and Mouth is controlled through fencing sub-divisions, which separate areas where FMD is endemic, from those areas where FMD can be excluded. FMD vaccinations are a possible way of reducing the disease in areas where it is endemic.Livestock movements from FMD areas are carefully controlled through a series of quarantine camps, and cattle from FMD areas are only slaughtered in the National Abattoirs during specified periods of the year. Meat from animals originating in FMD-prone areas is marketed locally, whereas meat from the FMD-free zones is sold regionally and internationally. 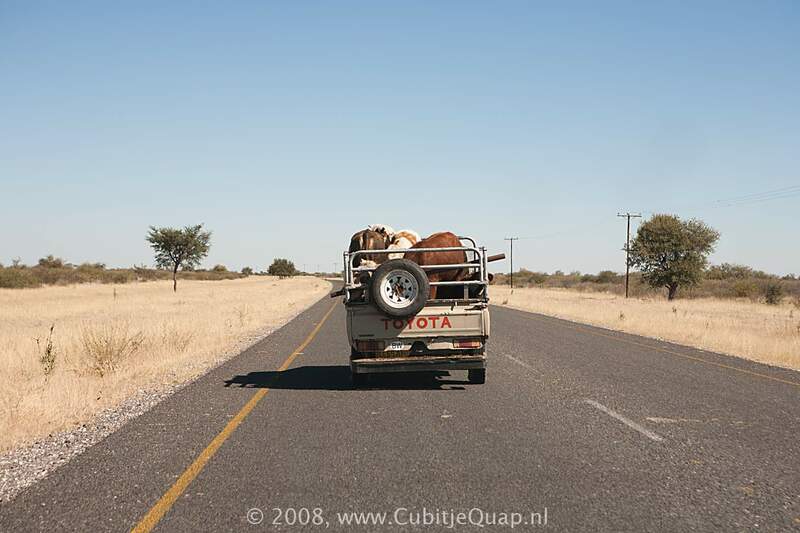 Travelling through Botswana you may run into vet checkpoints where it is not allowed to take meat through to the next zone.